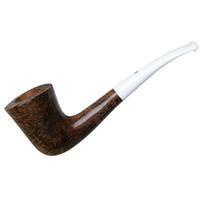 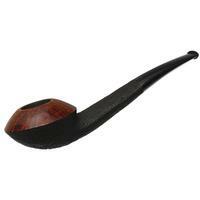 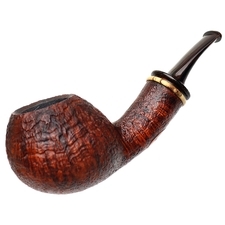 Though this Apple is a straight piece, it feels like it should be bent, given the mild cinch and dramatic flare of the shank, as well as the ever-so-slight forward cant of the bowl. 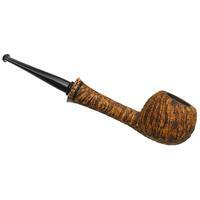 Well-rounded up front, it tucks neatly into the palm, and its extra length ensures it balances quite easily. 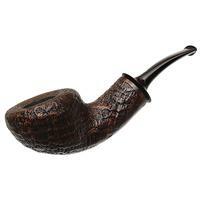 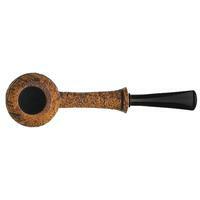 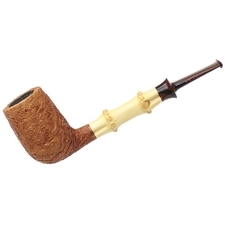 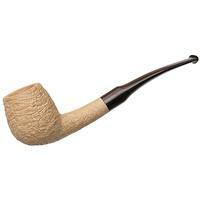 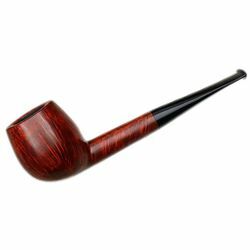 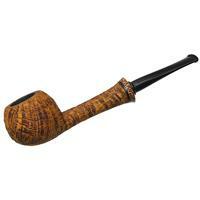 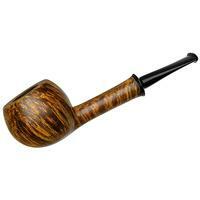 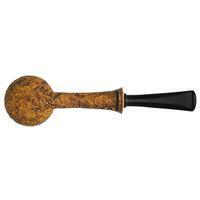 It's the product of Max Rimensi, which shouldn't be a surprise, as the carver is known for his refined elegance, and the finish goes to emphasize this point; it's been dressed in a contrast sandblast that brings out all of the best of the briar's grain, with an accent of black palm that feels perfectly natural at the shank end.